I don’t know about your Sims, but most of mine like to stay fit. Problem is, not all of them like to push weights on a benchpress, and others think that going jogging or running on a treadmill is mind-numbingly boring. Of course, for Sim kids the options are even more limited. So what’s a Sim to do if he wants to increase his body skill without being bored out of his pixel skull? With this animated one-tile trampoline, your Sims will gain body skill and have fun at the same time – and of course they’ll also get fitter through the experience. If you have Free Time, they will gain Fitness enthusiasm as well. Before they start bouncing, they will automatically change into athletic wear, and they’ll change back into everyday clothes when they’re finished. And once Sims are skilled enough to do flips, they’re also skilled enough to teach other Sims how to do it and can offer lessons to Sims with less body skill. 😀 All Sims can teach – even children. If the kid in the family is the best bouncer, to me it only makes sense that he or she or she should be able to teach Sims who aren’t as good at it. If your Sims are the kind who like to watch other Sims work but aren’t as keen on doing any work themselves, they have the option to look on and cheer when another Sim is bouncing. The watching Sim won’t gain any body skill or enthusiasm since they aren’t actually doing anything, but at least they’ll have fun and be social. Note: If you place the Sim Bouncer next to a wall, the frame clips into the wall a little – but then why would you place a trampoline next to a wall? (Seems dangerous to me.) But if you absolutely insist on having a wall right next to it, then you’ll either just have to live with the clipping, or move the trampoline a smidgen farther away from the wall with snapobjectstogrid false or the M&G quartertile cheat. This entry was posted on 17 April, 2013 at 13:27	and is filed under BUY MODE, DOWNLOADS, Exercise, Hobbies. You can follow any responses to this entry through the RSS 2.0 feed. You can leave a response, or trackback from your own site. Well done and lots of fun!! OMG U MEAN CATLUVER U HAVE TO START USEING MY TRAMPOLINE RIGHT NAO OR ILL HATE U FOREVS!!!11!! Awesome! I’ve seen similar objects around, but they were all 3-tile couch clones and not very well-made. Your innovations never fail to surprise me. I respect your perseverance. I would have broken it three or four times and shelved the project. But then again, I don’t know a heck of a lot about slots. OMG! I can’t believe it’s finally finished, congrats on a job very well done, looks amazing. WordPress hates me :P. But I hate them back – despite that I have recovered my password etc etc etc to say what an awesome object this is. Thank you for making it. Bad WordPress! No cookie! 😛 But aww, thank you! 😀 If it hadn’t been for the Leefish crowd, I don’t think I’d ever have finished this. Excited to have it! Can’t wait to try it out. My kiddie simmies will love it! I just spotted this while looking at the fitness mat. I DLed this ages ago, but never commented on it. Now that I’ve made a few things myself I appreciate comments more, so thanks! This is one of the few fitness options that actually looks fun to do. 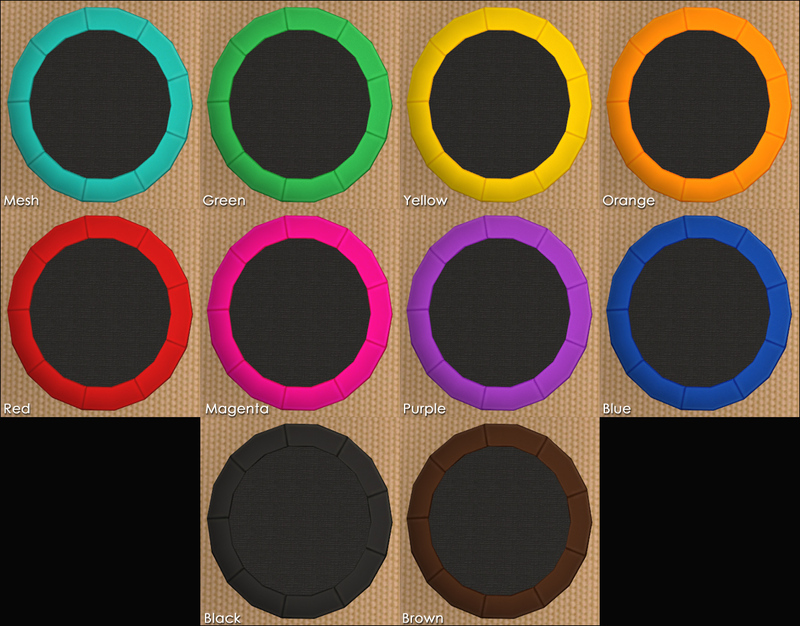 Making a trampoline for several Sims is something I've considered, but that's all I've done so far. Making one for two Sims isn't a problem, but four or more… then it's a whole different kind of worms that I'm not quite brave enough to try to open. And thank you for downloading and commenting! It means the world to me!